When I heard that NARS were bringing out a big new line of dual-intensity shadows, I think my heart started beating a little faster. The regular NARS shadows are some of my all time favourites, so the new dual-double-awesome formulation intrigued me. I picked mine up from the Space NK in soho, which is a) my favourite space NK and b) where the shadows are exclusive at the moment. I was overwhelmed by all the shimmery awesomeness, and went for Himalia (one of Jupiter’s moons), a shimmery warm bronze/topaz colour. Nothing groundbreaking colour wise, I know. I applied the shadow with a flat shader brush when it was dry, expecting it to be not at all pigmented, but it was actually nice. 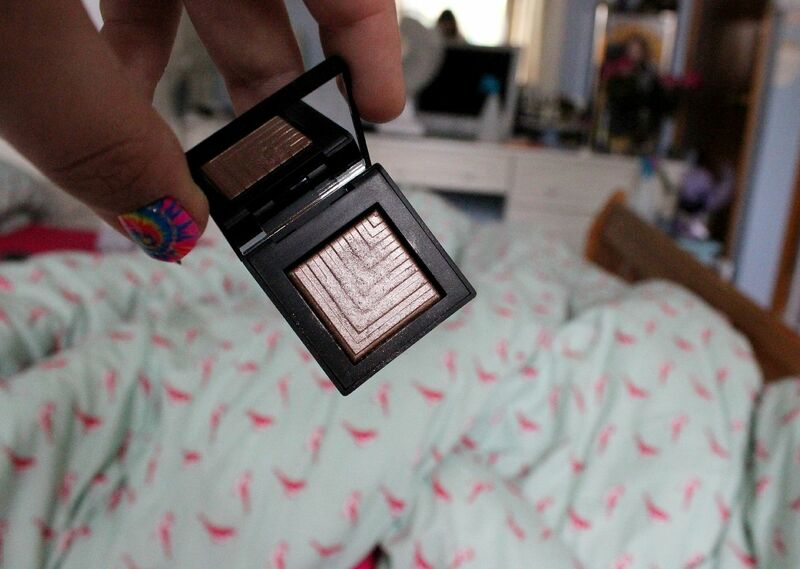 Not amazing or different to my other 10 million bronzey shadows, but you could easily wear this every day. 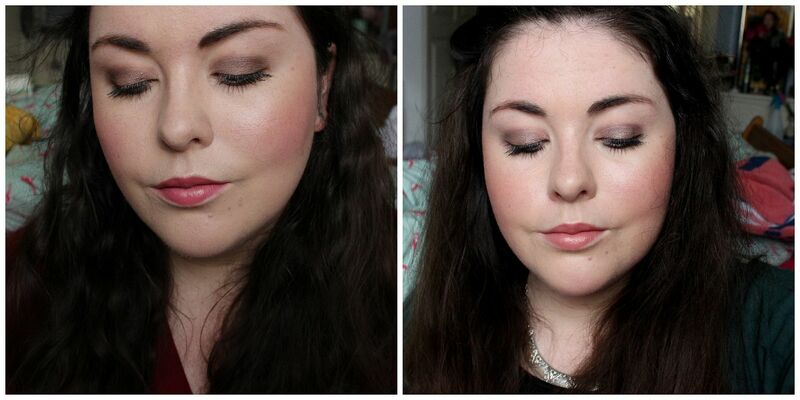 When I dampened the brush with some MAC fix + and used the same brush, everything was ramped up. Eyeshadow on acid. It was so metallic, and foil-y. Gah, so pretty. It just seemed to take on a whole new dimension, I love it. Over MAC painterly paint pot, this was still on when I got home 12 hours later. A bit faded, but still foil-y. I am seriously impressed. If you like shiny, metallic eyeshadows, then you need this. Go forth, you have my blessing.